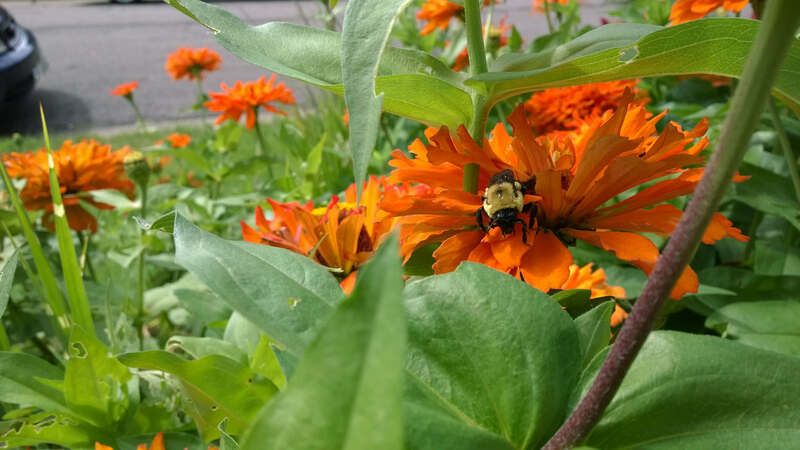 What is this tall, bright orange, variety of Zinnia? Bought a couple 6 packs of these Zinnias and don't recall the variety. I checked back at the garden store where I got them the next year and they didn't recall the variety and didn't have anything that looked like them that season. They matched our fall sugar maple perfectly and I'd like to get them again. My best guess is Inca Orange Cactus type. They were 2-3+ foot tall. After a bit of looking I came up with an angustifolia hybrid that is fairly popular called 'Profusion Fire'....planted in big sweeps or masses are spectacular. You should know that that color is prolific in Zinnias and I wouldn't worry about getting just the one variety. And it looks to me that possibly we are looking at two different zinnias in your photos. Or perhaps three, same color different variety. Gorgeous flower. I'd get Crocosmia the orangey red or the orangey yellow to plant in masses to harmonize with these Zinnias. They are offset in flowering but would keep that color combo going with a bit different texture, same height. Dark purple flowered plants and grey leaved perennials would totally make these colors powerful. Senecio greyii. No dusty miller please. Ugh grey color. Not the answer you're looking for? 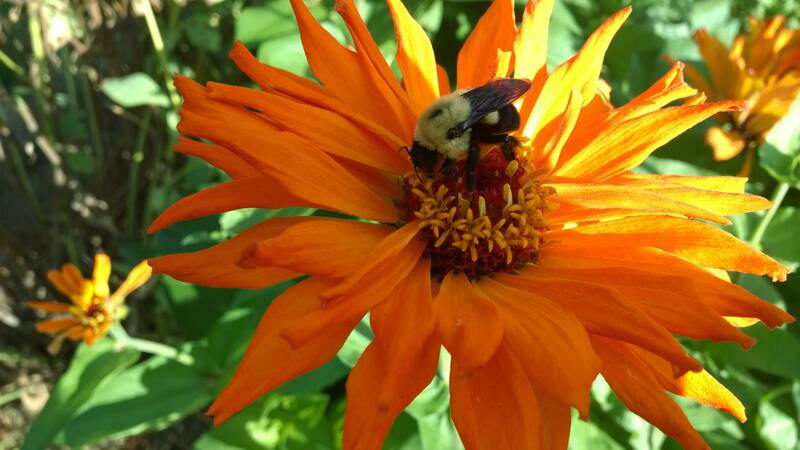 Browse other questions tagged identification zinnia or ask your own question. What kind of chili turns brown and shrivels when ripening on the plant? Is this a desirable plant or a weed? What are these orange insects under the leaves of my mandevilla? What is this bush with small yellow flowers and an orange substance in the stems? Is this tree a type of birch? Is All this blackberry plant or is there more then 1 plant? What chili variety is this?